South Florida beware! Hurricane season can be dangerous and filled with storms, cyclones, tropical depressions, dangerous winds, storm surge, and flooding. Your life and property are at risk with every thunder clap and lightning strike. We recently caught up with Robert Molleda from the National Weather Service to find out how to keep your life, home, and business safe when the weather turns for the worse. He has a message for you about how to best prepare for this onslaught of wild weather systems and just how much property damage they are capable of causing. Hey congratulations on all of the excellent work that you do! Thank you, sincerely, I appreciate that. Your title is Warning Coordination Meteorologist, what does that entail? I’m the primary liaison for the outreach program. I interact with the general public, the media, emergency managers, local and state government officials to communicate for the National Weather Service. Is it true that flooding is the most common natural disaster? I don’t have the statistics in front of me, but in hurricanes and tropical systems flooding is the leading cause of death. Flooding from storm surge or rainfall, or a combination of the two. Storm surge and rainfall are the #1 and #2 causes of death in tropical systems in the U.S.
How can people prepare for flooding and extreme weather conditions? The number one thing is to be aware of where they live, and their vulnerability. Know if you live in a flood zone. That information is readily available through local county information. Your county has a phone line to call and find out. And if you do live in a flood zone, you should know about the particular vulnerabilities and whether you are in an evacuation zone which are set up by counties up and down the coast because of the dangers of storm surge. So you need to know if you live in a flood zone and a storm surge evacuation zone. And if you do, keep in mind to take precautions. Rainfall and flooding and hurricanes are very dangerous. What are other dangers to people and property in South Florida? Lightning is dangerous and pretty common in Florida especially in the summer between May and September when most thunderstorms occur. The biggest thing with lightning is that if you hear thunder, go indoors. Don’t assume that the storm is too far away. Even a rather distant storm can be dangerous, as lighting can reach land up to ten miles away. It doesn’t need to be raining. There don’t need to be dark clouds. At what point does a storm or weather system become dangerous? It depends. Any thunderstorm is potentially dangerous. It could be just in your neighborhood, but producing lightning that’s dangerous. But large scal weather systems like tropical cyclones, tropical depressions, tropical storms and hurricanes are potentially dangerous over alarge area. You have to pay attention to the National Weather Service and local media to keep informed of potential threats. What are the dangers of tropical storm force winds? Gale force winds or tropical storm force winds are or can be dangerous. Gale force is more like wind over open water. Here in South Florida we have to watch out for the winds from these tropical systems and hurricanes. Strong winds can cause a lot of damage. Any wind related warning, people need to heed the advice of local officials. Prepare your homes. Strong winds can knock down trees, break branches, knock down power lines. Outdoor furniture can go flying. Serious damage can occur. People should bring in outdoor furniture, anything that can go flying around. Don’t go outside. It’s dangerous to be anywhere that debris and trees are blowing around. Driving is dangerous in those conditions too. Flash flooding occurs with rapidly rising water, which can easily sweep cars off roads and homes off foundations. Here in South Florida since our terrain is flat the water doesn’t move rapidly in the same way as it does in other parts of the country. Here, it rains really hard for a few hours and water accumulates. It ponds rapidly and then that can lead to the street flooding that we typically see here. This can cause major traffic issues. What are some of the issues surrounding flooding in South Florida? Some areas have better drainage than others. The closer to the coast the more vulnerable to rainfall because it’s a slightly lower elevation. But any part of South Florida is vulnerable to rainfall flooding. The older neighborhoods closer to the coast seem to be more vulnerable. A lot of that is due to things like drainage and infrastructure. Storm surge is a different story. That’s when a storm pushes water on shore. It’s limited to coastal and near coast areas. Near the Gulf Of Mexico it can spread farther inland than on the southeast coast where it’s deeper. On the Gulf coast where it’s much more shallow, a storm can generate a higher storm surge that can penetrate deeper inland. However in Miami anything near the Biscayne Bay is in danger from a slightly deeper penetration. Stay informed! Check the National Weather Service (NWS) website daily. Check weather.gov. Pay attention to the local weather and hurricane warnings. Also, be aware of your area’s vulnerabilities. Know if you live in a flood zone and storm surge evacuation zone and take extra steps like making a disaster kit and plan for the threats of severe weather, lightning, and thunderstorms. On most days in the summer someone in Florida is at threat from a flood or storm. Know your daily forecast and once you start to hear or see thunder that’s your cue to go inside. Don’t wait until it gets close. Remember, lightning can extend far out from its source. Every year people in Florida are killed by lightning. 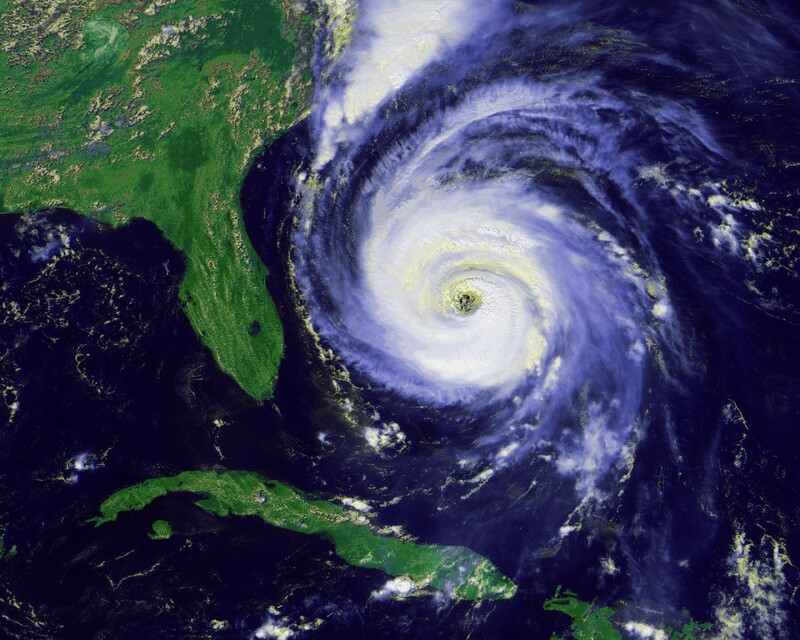 Have you, your home, business, apartment or condo suffered at the hands of South Florida’s weather? If you have or are planning to file an insurance claim for a roof leak, flood, storm damage, wind, water, or fire, call us at Stellar Public Adjusting immediately for a free policy analysis, property inspection, and damage consultation so that we can help you to get you the most money for your claim.